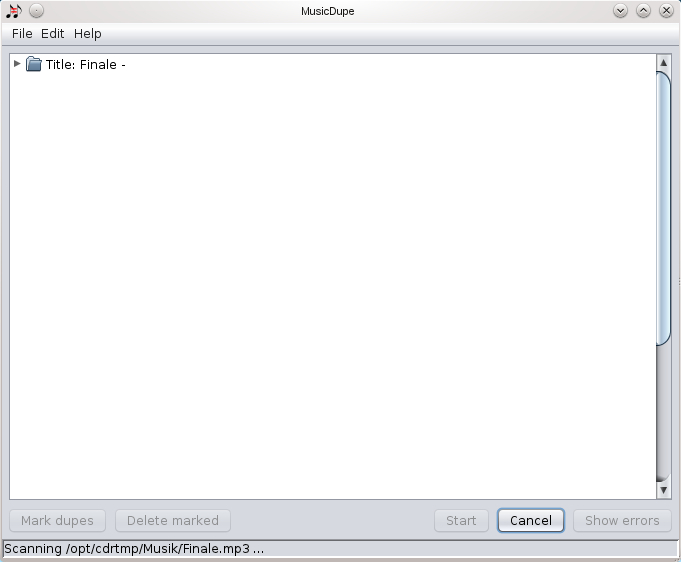 MusicDupe is a simple software to find duplicates in a music collection. Apart from a tag-based comparison of the music files, it can also find acoustically similar music files. To do so, it uses additional Chromaprint software from the AcoustID-project. MusicDupe requires at least Java 6. In order to use the acoustic comparison, Chromaprint FPCalc is also required.